Join the manufacturers as they share presentations of current and soon to come product. These presentations are a first look for convention attendees and a must attend event! Exclusive 510 Wagon to first 25! Play 10 rounds of traditional BINGO. Each round winner advances to the final table to compete for the World Series of Bingo Championship. 1st and 2nd place Final Table winners will score cool prizes. 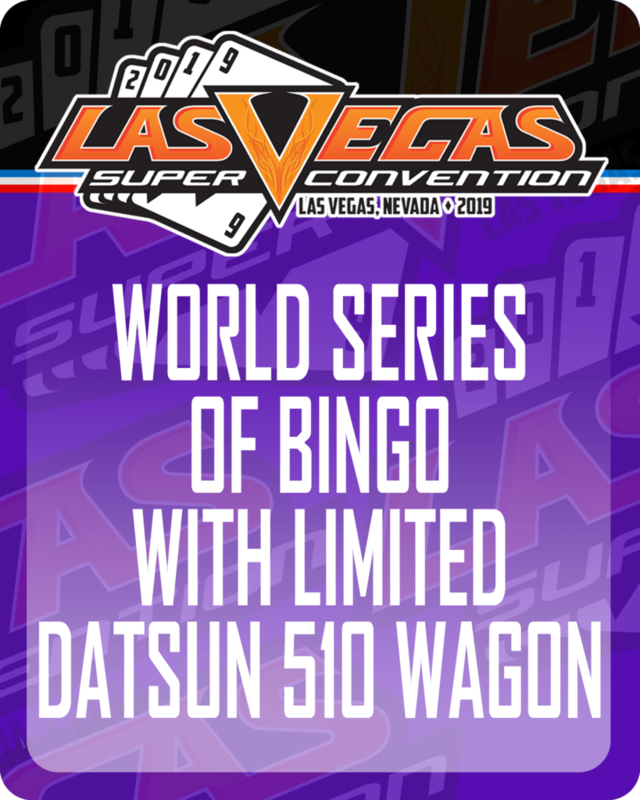 BINGO is free to all, but you can purchase a guaranteed spot ticket which includes a Limited Edition 510 Wagon to the first 25 tickets purchased. 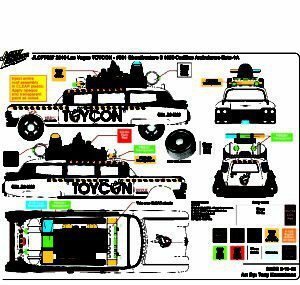 A very special Diecast ONLY Zone has been created for vendors who strictly deal with diecast. Purchase your table for just $200 for three days! 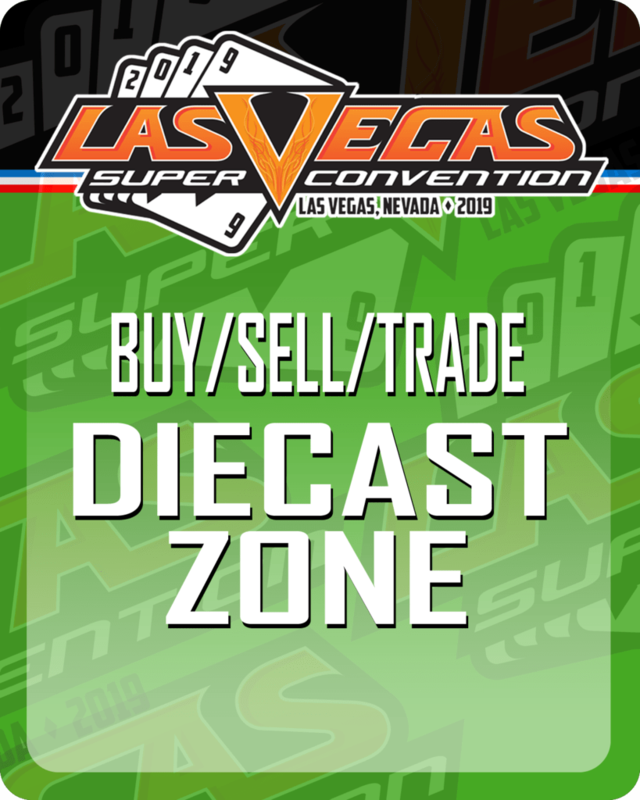 Its a great way to get into the popular vendor hall were over 30,000 people visit each year! 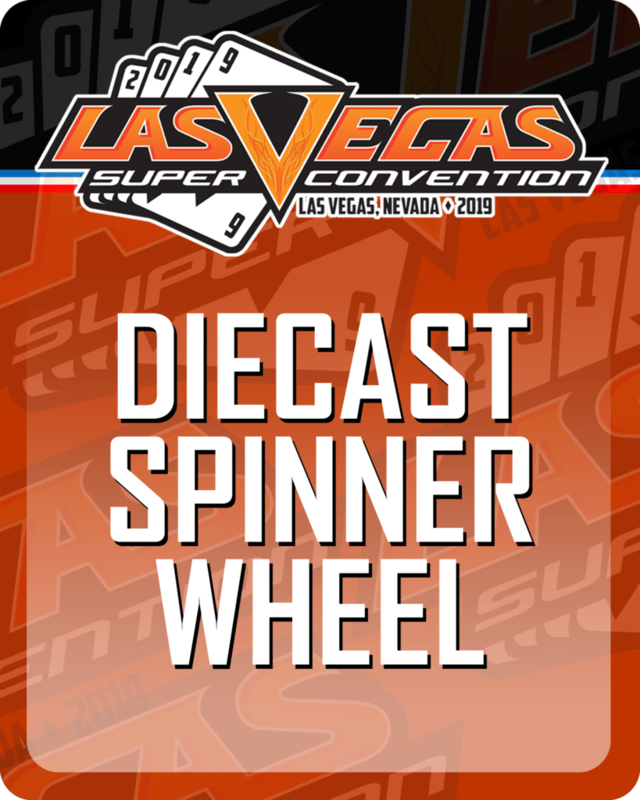 Designers, Customizers, Automotive Legends and Celebrities will return as one of the most popular sessions from the Diecast Super Convention vault features some of the coolest and hottest car guys and gals! Are You Into High End Diecast? If you like rare stuff, this is the place to be. 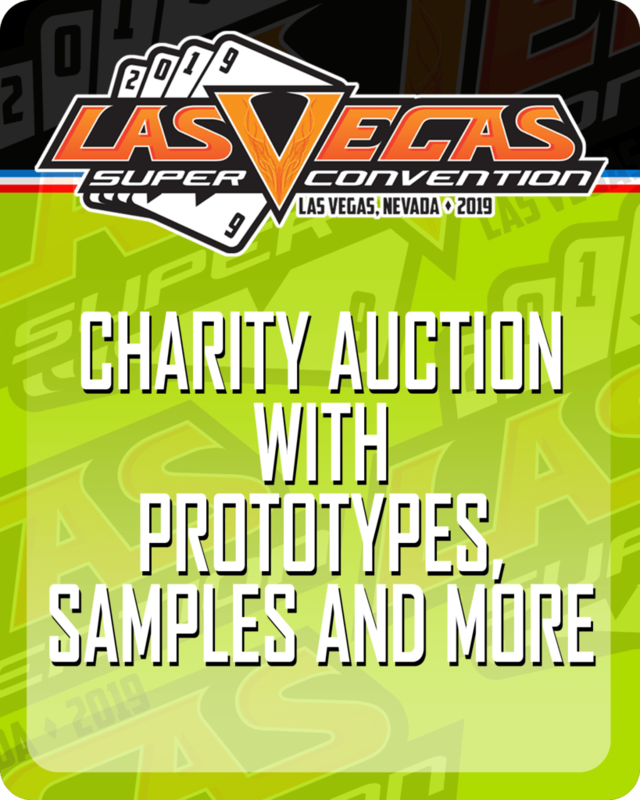 Auction features Prototypes, Samples, Exclusives and More. First 25 people will score the Charity Auction Pink Daytona for $40! Come to the most exciting event of the convention! In 2019, the souvenir cars were the biggest hit. 10 years later, they are still going strong. Grab these exclusive cars made by some of the most notorious customizers in the world! 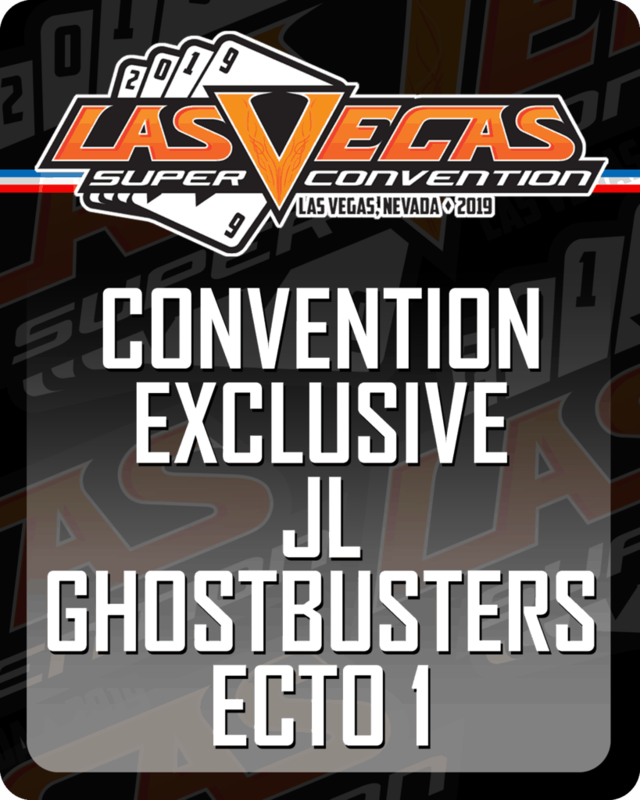 Manufactured by Johnny Lightning, score this awesome 1 of 2496 Limited Edition Ecto1 at the convention with chances of White Lightnings sprinkled in! Compete in one of the coolest customs contest were you can score top notch trophies and prize money. 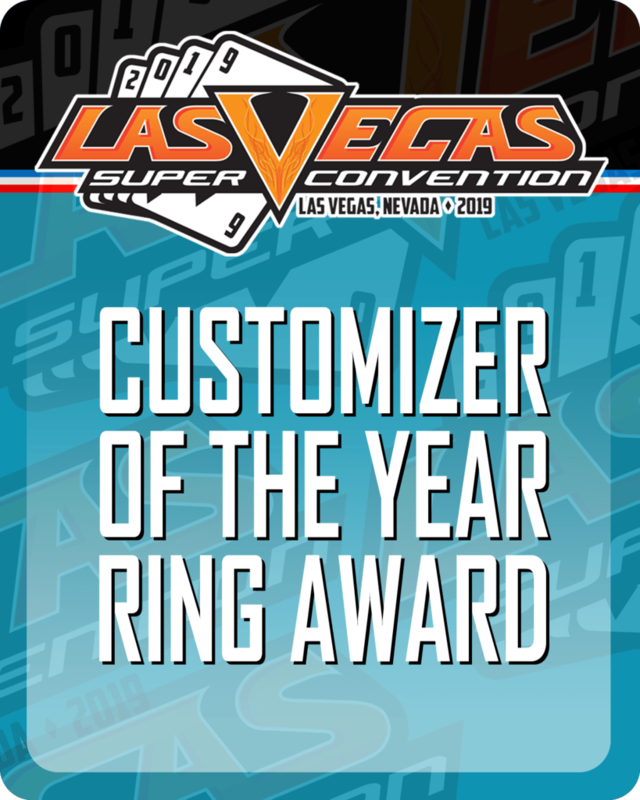 One lucky customizer will score the Customizer of the Year ring award from Jostens. A hand cut and custom ring! Sunday Breakfast with designers from M2, Johnny Lightning, Hot Wheels as well as a few surprise guest Automotive Legends. 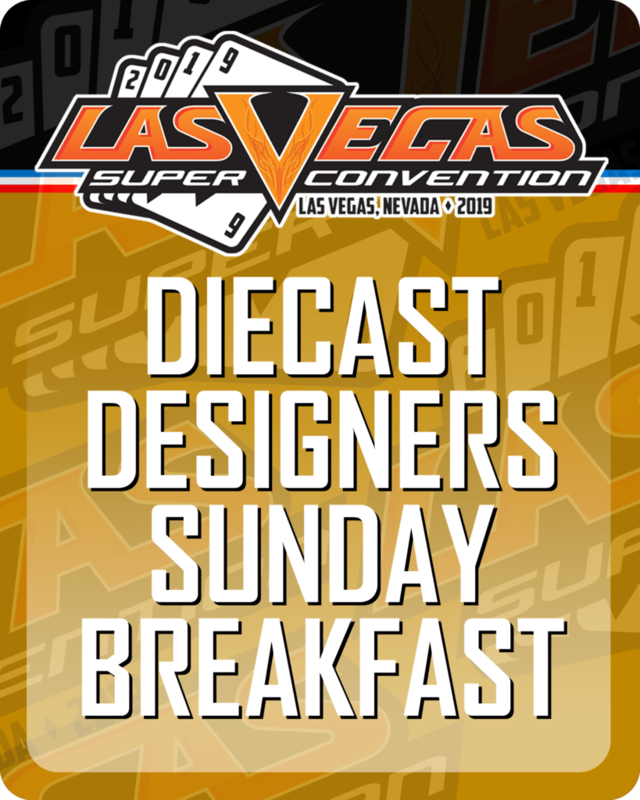 Enjoy an amazing sit down breakfast with a 3 car set featuring a vehicle from Hot Wheels, Johnny Lightning and M2. It will be an out of this world experience! Over 300 pulls per session! 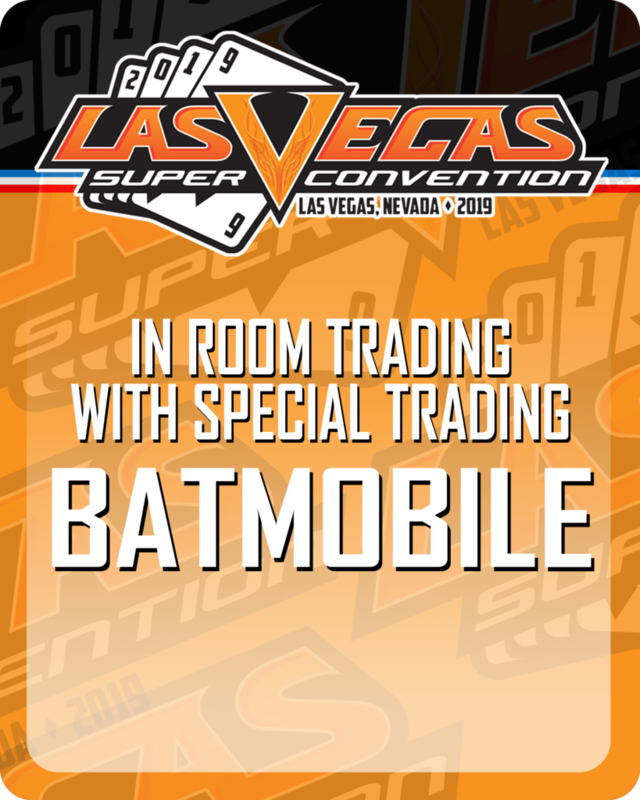 The vending machine is loaded up with chase pieces, limited editions, convention exclusives and more from Hot Wheels, M2, Johnny Lightning, Auto World, Greenlight and more! 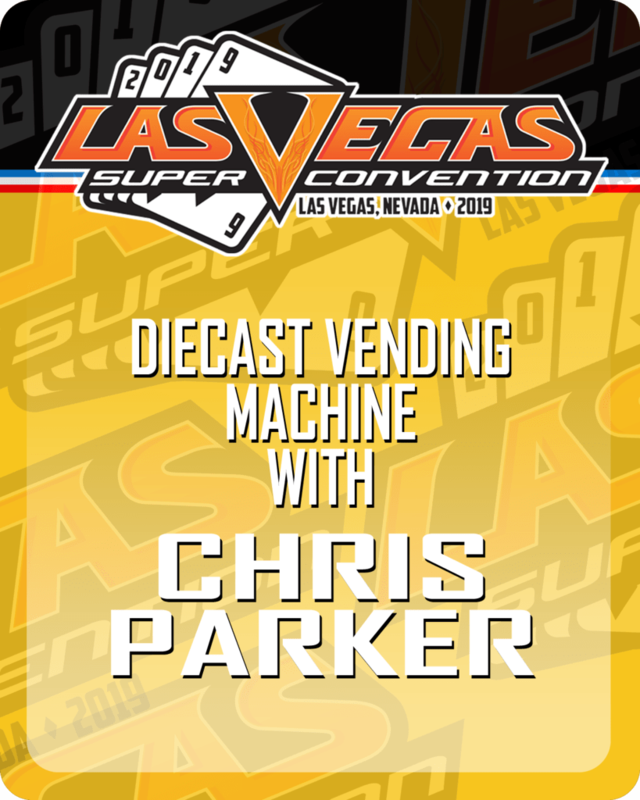 And added into each session is 1 limited 1 of 10 ’55 Gasser exclusive to the vending machine. Super Pulls score some sweet super chases and hard to find items! $10 per pull and you can pay at the time of the session of your choice. Two Sessions Per Day! 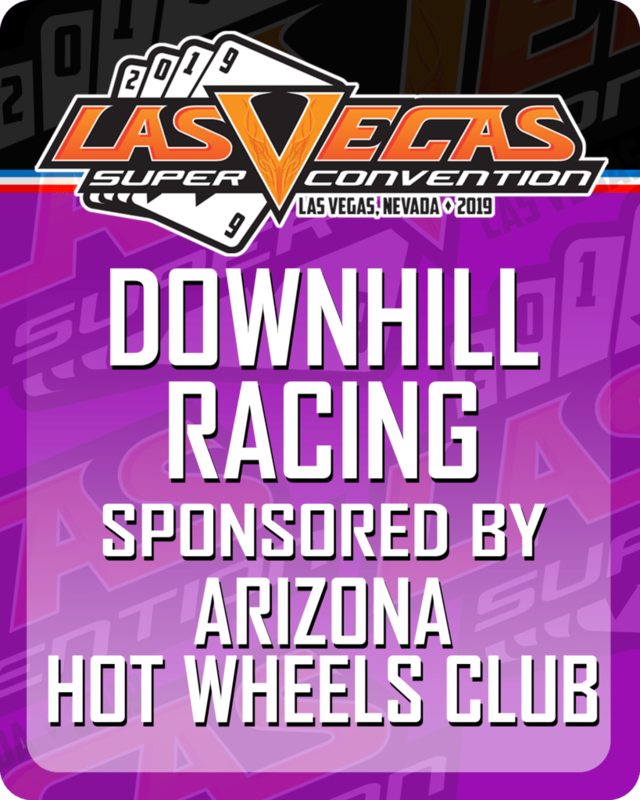 3 Days of Fun Filled Downhill Racing sponsored by the Arizona Hot Wheels Club! 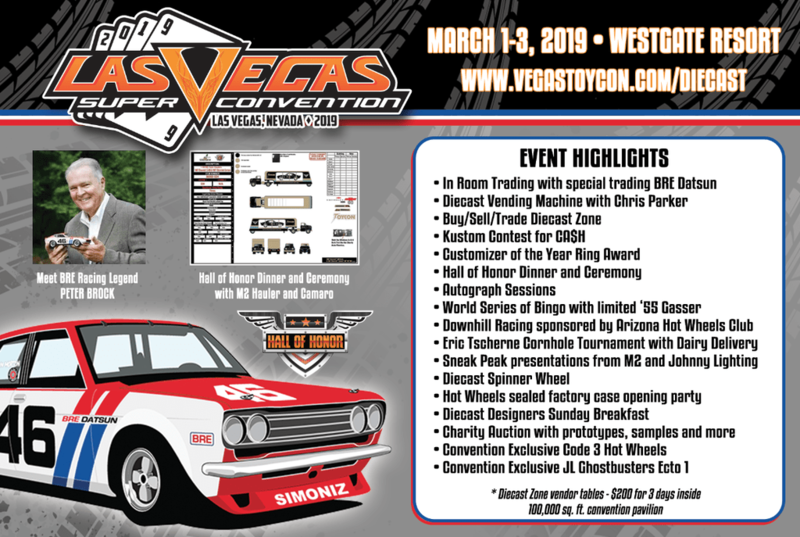 And stick around for the 10th annual Midnight $ Race as a $40 buy in to the first 24 racers will score a special ’68 Nova to race as well as a shot at half the prize $! Open a Factory Fresh Case! Ever wanted to crack open an untouched factory sealed case of Hot Wheels? Well now you can. 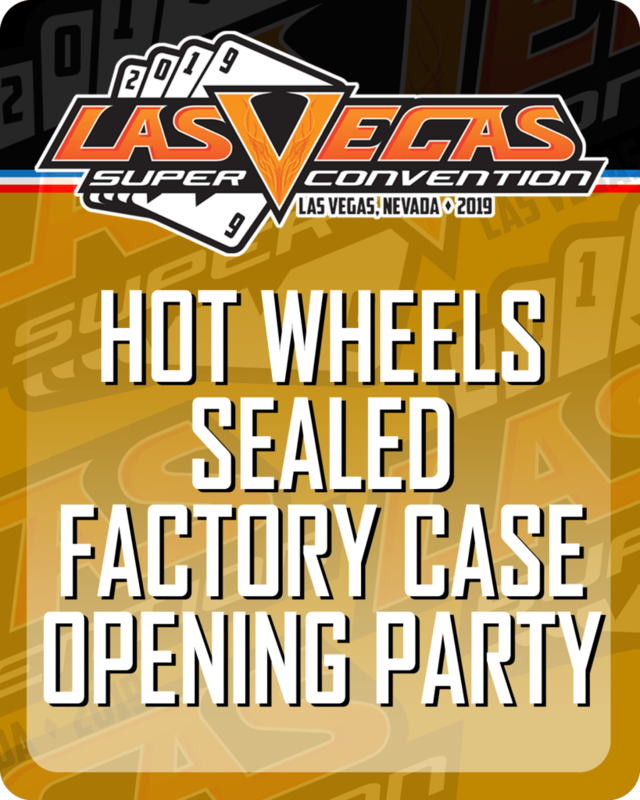 Lets party with RAOK cars and Factory Sealed Cases of Hot Wheels. All Attendees get the chance at a case all to themselves. Only pay for what you want. Each car is $1.00 so join other collectors for this awesome opportunity to open a factory sealed case of Hot Wheels!